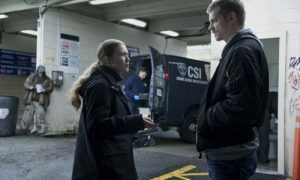 About a year after its cancellation, THE KILLING returns to AMC with the two-hour opener of season three. 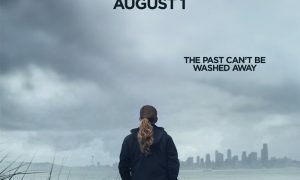 Titled “The Jungle; That You Fear the Most,” the story picks up a year after the events of the Rosie Larsen case, with Holder (Joel Kinnaman) seeking out a reclusive Linden (Mireille Enos) when his current murder investigation seems to tie into her former career. As someone who loves THE KILLING, I am thrilled that it has been rescued from the TV graveyard for another year. The first two hours of the new season, despite the things that have changed in the main characters’ lives, and the absence of many familiar faces, feels like a return to form. In the same bleary, dark setting, the depressing tone of murder hangs in the air. Similarly, Linden and Holder are able to pick up right where they leave off. The chemistry between the pair in their first meeting, having not seen each other in quite awhile, immediately reminds me of what was so good about the first two seasons. There is genuine affection there, but also a want to avoid the things that they dislike in themselves when glimpsed in each other. Even a little lie about a dropped smoking habit demonstrates this beautifully, and says a lot about the two. Like the first two years, season three takes awhile to get started. We see a dead body early in “The Jungle; That You Fear the Most,” but I would not claim that the investigation gets off on the right track. 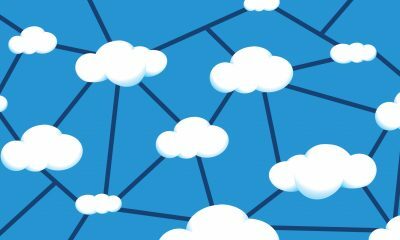 There are plenty of details that will likely eventually be clues, and we are introduced to a great many people who will be suspects. But THE KILLING is a slow burn and will not be rushed into getting the leads to where they need to be. Unfortunately, they won’t be able to drag their feet too long. Unlike seasons one and two, which spent twenty-six hours solving one murder in a very intriguing fashion, really dwelling on the pain and suffering and toil that goes into such a venture, season three promises to catch the killer in twelve hours. This makes sense to keep eyes glued to the screen, given the legions of so-called “fans” who abandoned ship after season one failed to wrap things up and got THE KILLING canceled in the first place, but it’s disappointing to those who would like the show to take its time and do what it does best. Unlike the Larsen case, in which a family grieves, the victims (plural because we’re dealing with a serial killer) in season three appear to be homeless teenagers. It’s a very bleak scene, kids living on the street, and a number of them are in the central cast. This contingent includes: Bullet (Bex Taylor-Klaus), a tough, butch lesbian; Kallie (Cate Sproule), Bullet’s best friend who has been kicked out by her mother, Danette (Amy Seimetz, Family Tree); and Lyric (Julia Sarah Stone, Vampire Dog), Bullet’s crush who is with a wannabe model named Twitch (Max Fowler, Mayday), who is just using Lyric. Some of these kids may care about one another, but it’s not the same thing. Which is good. THE KILLING doesn’t want to repeat itself, and it doesn’t. It moves forward in a new direction that continues the personal journey of the two leads of the show, and introduces another group of people living in Seattle. 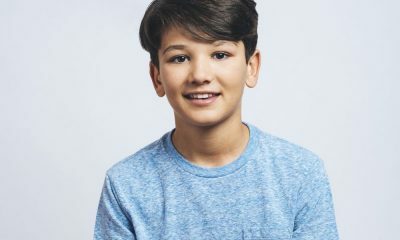 The homeless kids are not something that has really been explored on a weekly basis in series television before, and they raise awareness of a real-life issue, while creating a rich, fresh tapestry for the story. But sometimes to move forward, one must go back. Linden is stuck in a low-wage job, her son, Jack (Liam James, no longer a main character), lives half a country away, and she is still haunted by a previous murder, especially when she learns that the killer she put away, Ray Seward (Peter Sarsgaard, Jarhead), may be innocent of the crime. Jack asks Linden what she’s still doing in Seattle, and this premiere tells us: she has unresolved issues that she must deal with before she can move forward. Newlywed Regi (Annie Corley) may disagree, but from a narrative perspective, Linden needs to get back into the police game. Holder, on the other hand, seems to be doing well. He’s close to a promotion, dressing in suits, and is definitely the more competent part of his professional partnership with Carl Reddick (Gregg Henry, Scandal). He also seems happily in a relationship. So his tale might just be to realize his calling, which he may have already found, rather than advancing solely for the sake of advancement. On a side note, Jewel Staite (The L.A. Complex, Firefly, Stargate: Atlantis) plays Holder’s love interest, and is introduced with an instant Serenity reference. Joss Whedon fans owe THE KILLING a debt of gratitude. Besides Holder and Linden, the most compelling character this year will probably be Ray. Sarsgaard gives us a man who may be innocent, but who sure doesn’t seem like he is, and is not making any friends on Death Row. Does this mentality stem from trauma in his past? A coping mechanism? Is he feeling guilty for something? Is he just a jerk? Sarsgaard makes me want to find out. Two wonderful hours, and it’s like THE KILLING never left. With a great story, fantastic set up, and a group of new players every bit as interesting as those of the first two seasons, I look forward very much to watching this latest mystery unfold. Even if I’m still hoping for a Mayor Richmond (Billy Campbell) cameo at some point. 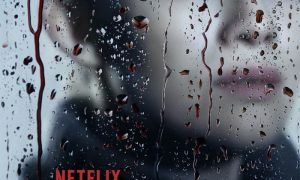 THE KILLING premieres Sunday, June 2nd at 8 p.m. ET on AMC.